Earlier this year, after raising $1M in May, Lawrence Lessig’s Mayday PAC announced an ambitious goal to raise $5M by the 4th of July—a goal which they met mere hours before the deadline. One of the remarkable things about this campaign is how transparent they’ve been through the whole process. 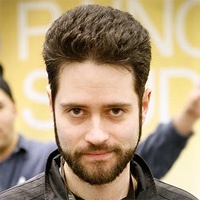 In August, they released anonymized records of all contributions from the prior three months to “enable researchers to study the pattern and nature of the contributions” they received. Stripe helps Mayday to accept credit card payments, and with Mayday’s blessing, we did some digging of our own into the data relating to their $5M campaign. While we couldn’t look at every contribution (only those made using credit cards), we were able to discover certain patterns that wouldn’t necessarily show up in the published data set. We’d like to share here some of the interesting things we discovered. Overall, a healthy 17% of donations came in via mobile devices. But on the last day of the campaign, mobile use doubled: 32% of donors donated from their phones or tablets instead of waiting to get to their laptops. Repeat donations were three times as common in the final week. Between June 25th and July 4th, 14% of donations were from email addresses that had contributed at least once already. Although it’s true that repeat donations are more likely the longer a campaign goes on, it’s notable that in the previous week, repeat donations only made up 4% of the total—and only 1% the week before that. Deadlines can be incredibly effective in fundraising: Mayday’s supporters were motivated to donate both immediately and repeatedly. The overall conversion rate, once a visitor got to Checkout on Mayday for the first time, was 78%. For users already logged in to a Stripe account, the rate shot up to 90%. To put it another way, the chance that a visitor would abandon their donation at the Checkout step halved from 22% to 10%. It’s worth repeating that these users weren’t on the Mayday site when they stored their details, and there’s no reason to expect they were any more likely to donate than anyone else—they just happened to have already used Stripe to buy something online in the past. Even for repeat visitors to Mayday, who are more likely to donate than anyone else, having a Stripe account made a substantial difference. 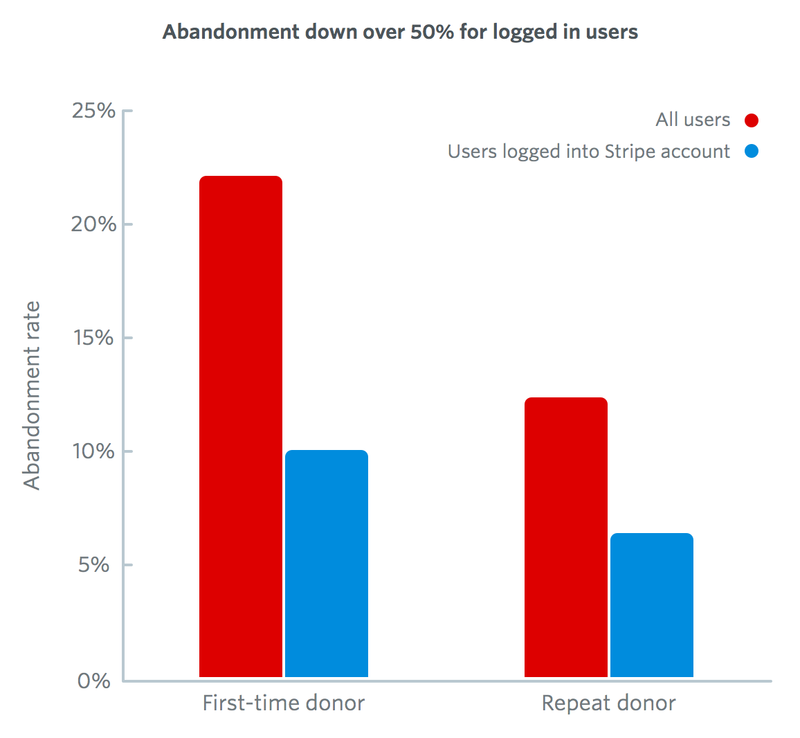 In general, visitors who had donated before had a healthy 87% conversion rate, but for those who were already logged in to Stripe, it was 94%. Looking at repeat donations prompted us to ask: do people donate more or less their second time? On average, the answer is roughly 50% more. While first donations had a mean of $88 and a median of $30, repeat donations had a mean of $114 and a median of $50. Average doesn’t mean typical, however. If you look at each repeat donor one by one, it turns out they’re split almost exactly into thirds: 33% donate less the second time (most commonly half), 35% donate more (most commonly double), and 32% donate exactly the same. The averages get pushed up because doubling (and the occasional tripling or even quadrupling) makes a bigger difference overall than halving does. Supporting repeat donors was critical to the campaign’s success. When donors return to your site (probably at the last minute), make it easy for them: don’t make them find their laptop, and don’t make them enter their credit card again. Encourage them to increase their donation, but don’t expect it. When you make it easy enough, they’ll almost certainly help you out—94% of the time, anyway.